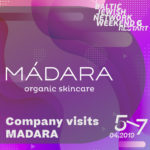 AS MADARA Cosmetics also known as MÁDARA, is a Latvian manufacturer of organic skin care, hair care and baby care products. The ingredients include biologically certified blossoms and herbal extracts from the Northern and Baltic region. 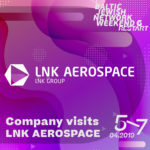 Aviatest, the research and testing centre included in the team of the department of LNK Aerospace of the LNK Group holding company specialises in field rig testing of aerotechnics (frames of aeroplanes, helicopters and their aggregates). The centre also tests airport equipment (aircraft hydraulic jacks, torque wrenches etc.) and various building constructions. Tests on aircraft, helicopters and their components began in Riga, in 1972. Today AVIATEST is the only research and testing centre in the Baltic states that has sound experience in the field of field rig testing of aerotechnics. Groglass is a manufacturer of anti-reflective glass and other high-performance coatings on glass and acrylic for various industries: high-end electronic and static displays, cold storage displays for supermarkets, picture framing, museum/commercial showcases, architecture, lighting and other applications. 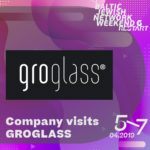 Established in 2008, Groglass is a leading developer and manufacturer of anti-reflective “invisible” glass. Groglass origins from the main nano materials research Centre of the Soviet Aerospace and Defense sector. Its products are exported to over 50 countries worldwide.